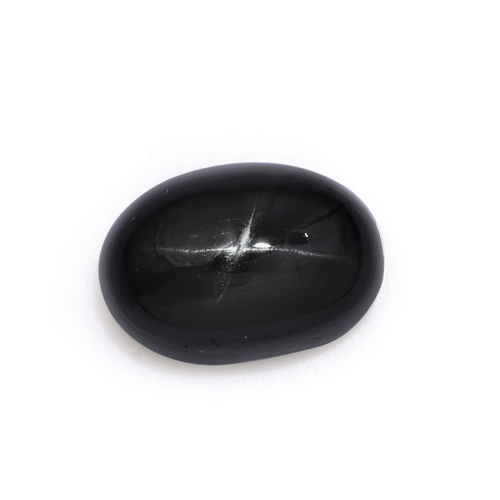 The Indian black star diopside is a cabochon cut gemstone featuring a blazing white four-pointed star radiating against an inky black sky. 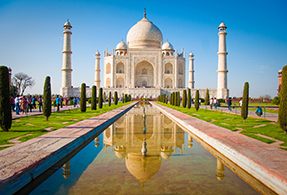 This rare beauty is frequently call the "Black Star of India." Diopside surfaced around the 1800s. Its name stems from the Greek word 'di' for two and 'opsis' for vision. This opaque gem of second sight is carved with a rounded cabochon cut to accentuate its shining asterism properties. This version of diopside is typically available in a stark black but may display hints of dark forest green. The black star diopside gemstone is formed from calcium magnesium silicate with needle-like inclusions that create the star-like effect. Indian black star diopside is unique in that its star is a four-pointed cross. 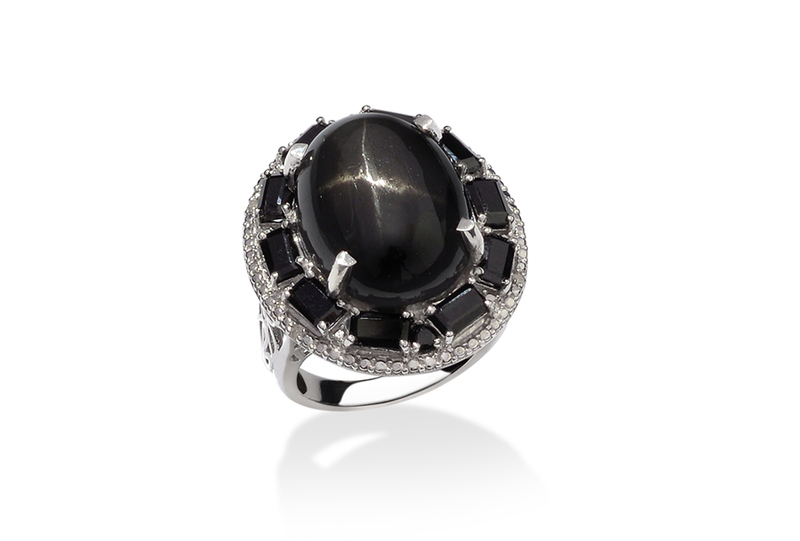 This gem is occasionally mistaken for black star sapphires which exhibit a six- or twelve-pointed star. • Crystal healers believe this stone can alleviate aggression and stubbornness facilitates creativity and analysis and may aid in the learning process making it a great resource for students. 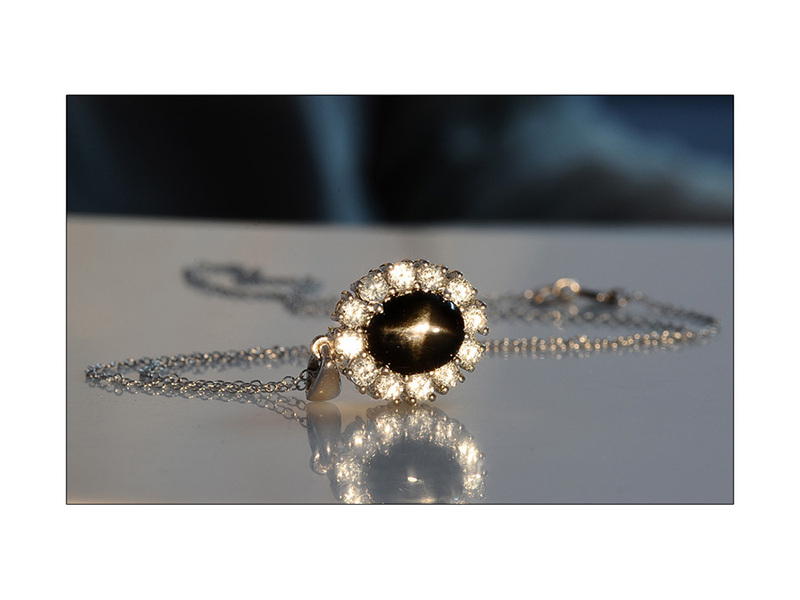 • Black star diopside signifies love fidelity and the inner heart. • This gem is thought to help heal trauma by producing cleansing tears to wash away the pain earning it the moniker the "crying stone." Diopside is available from a variety of locations including Russia Pakistan South Africa Austria Brazil Italy North America Sri Lanka and Finland. 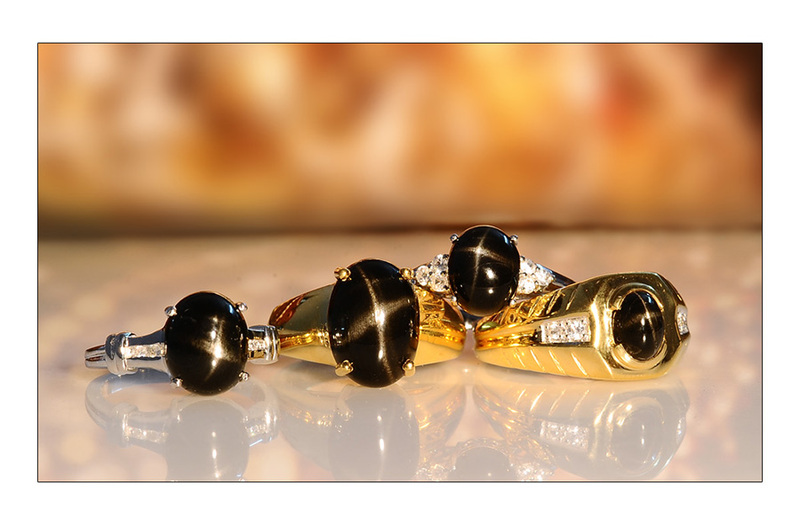 However India is the primary source for exquisite quality black star diopside. Provisions for Indian diopside are scarce; therefore Shop LC is proud to be able to bring this unusual find to market. Ranks 5.5 on the Mohs hardness scale. Color displays an opaque black with occasional shades of green. Asterism properties allow it to exhibit a white four-pointed star reflection. Member of the pyroxene group. Birsthone for March and Pisces zodiac sign. A 100 percent natural stone; no additional treatments.